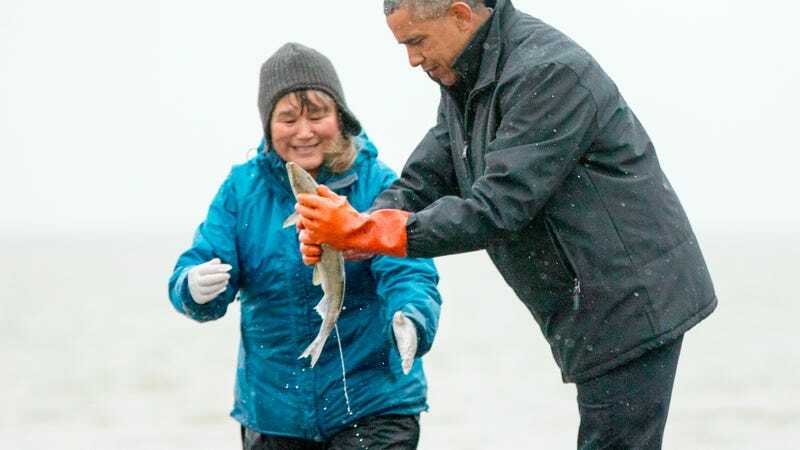 As part of his visit to Alaska, Barack Obama made a trip to the far-north fishing village of Dillingham, where a salmon squirted “milt” onto his shoes. That’s a “sperm-containing fluid.” Yup, that fish essentially splooged all over the President’s shoes. Take it down a notch or two, fish.